Owensville is a sneaky squad that will compete for not only a state trophy, but also a state title, if everything goes right for them, that is. 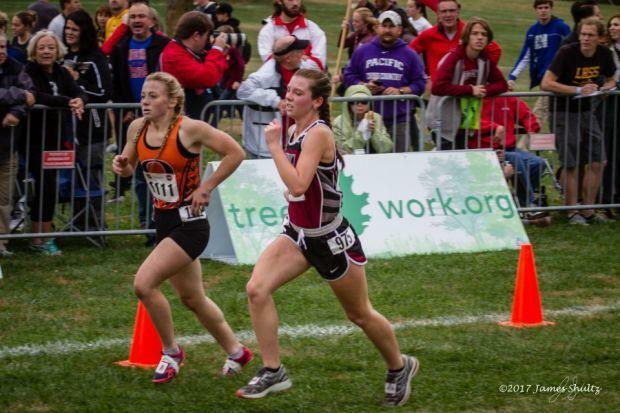 Last season, Sophie Ashner finished fourth for the Dutchwomen, but a few hiccups set the girls back to 6th place. One of those hiccups was a 118th finish from Alesha Shockley, their #2 girl. But 2018 is a new year and Shockley has already shown she has the chops to make a run at the podium this year. She has yet to lower her personal best of 20:37.00 from last seasons Missouri Southern Stampede, but she has turned in two performances of note: a 20:58.90 run at Rim Rock Farm and a 20:58.87 performance at Bowling Green's Pike County Fairgrounds. Both performances point to an ability to compete on relatively challenging courses. Shockley has a good support system this year again with Kendra Hults and Paige Heckelmann right around her and Ashner still getting the job done up front. Watch for Shockley to lean on that support system and earn herself a state medal this weekend.